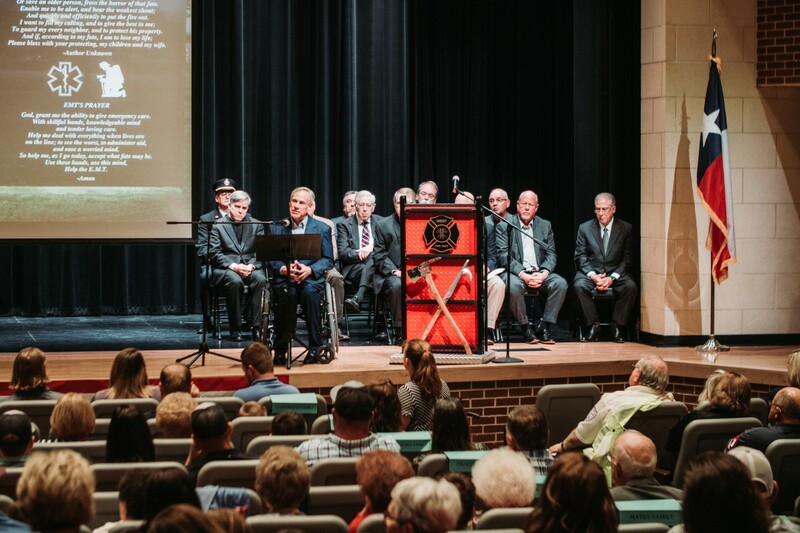 Governor Greg Abbott today attended and delivered remarks at the Fallen Heroes Memorial dedication in West, Texas. The Governor highlighted the resilience of the West community and recognized their work to establish the Fallen Heroes Memorial. The memorial honors the first responders and civilians that died in the fertilizer plant explosion in West on April 17, 2013. "Today we remember the heroes who lost their lives here six years ago – the firefighters, first responders, and neighbors whose first instinct was to help others and who made the ultimate sacrifice," said Governor Abbott. "These heroes embody the Texas spirit. We will always celebrate their lives and today we cement their legacy with this memorial. I am proud of the remarkable work the people of West have done to rebuild this community and create this memorial. May it forever stand as a reminder of the heroes who lost their lives, as well as a symbol of the strength and resilience of this community."